Go retro with our Groovy Waves business card design template, completely customizable with your own text plus your choice of three different color schemes, horizontal or vertical layout, and four attention-getting die-cut shapes. On the front, our Groovy Waves template features your company name in bold vertical typography, separated from your horizontally-printed name and contact information by two wavy brush strokes – all on a solid-colored background. The vertical version moves your business name and wave from the left to the top. 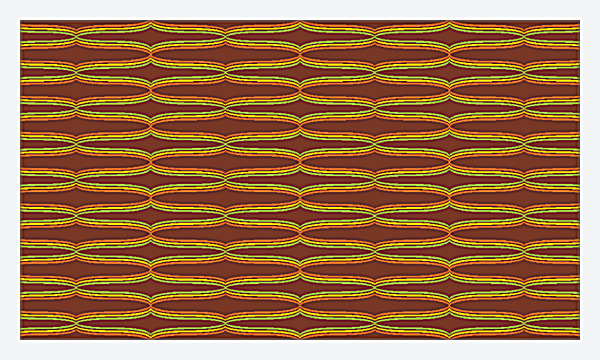 The back is dressed to impress with a tri-colored wave pattern over a solid background, making Groovy Waves an excellent business card for vintage clothing stores, beauty shops, and any retro-branded business. 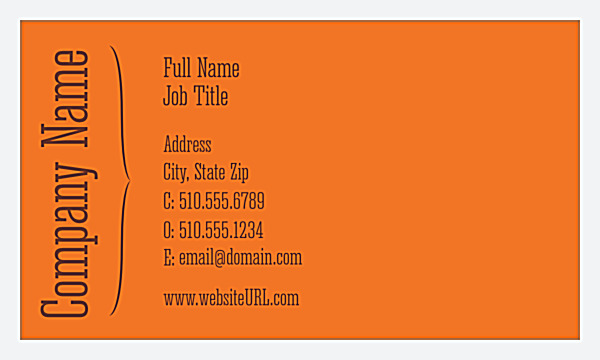 Personalize Groovy Waves to print your own unique business cards today! Our online business card design tool is the quickest and easiest path to a professionally-designed business card that’s unique to your brand. All you have to do is select your template, pick your color scheme, and follow the on-screen prompts to customize your text. It’s that easy! Once you’re satisfied with your business cards, choose your printing options and check out. Your business cards will be delivered in no time – and while you wait, you can download a free PDF to share your custom design with family, friends, and colleagues. We’re known for affordable pricing and great value – backed by our customer satisfaction guarantee – so you know you’re printing premium business cards at budget-friendly prices with PsPrint. Get beautiful paper stocks printed with vibrant inks that help you make a powerful and lasting impression on potential customers.